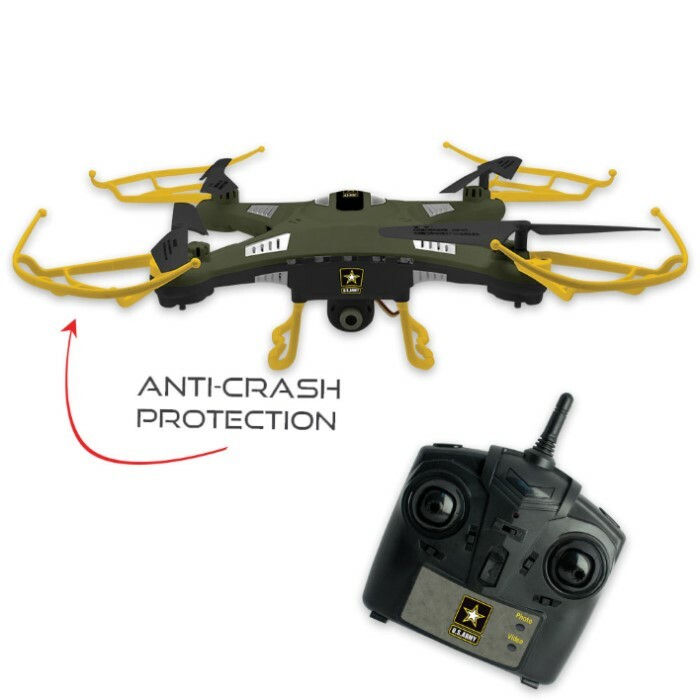 US Army Scout Drone | BUDK.com - Knives & Swords At The Lowest Prices! 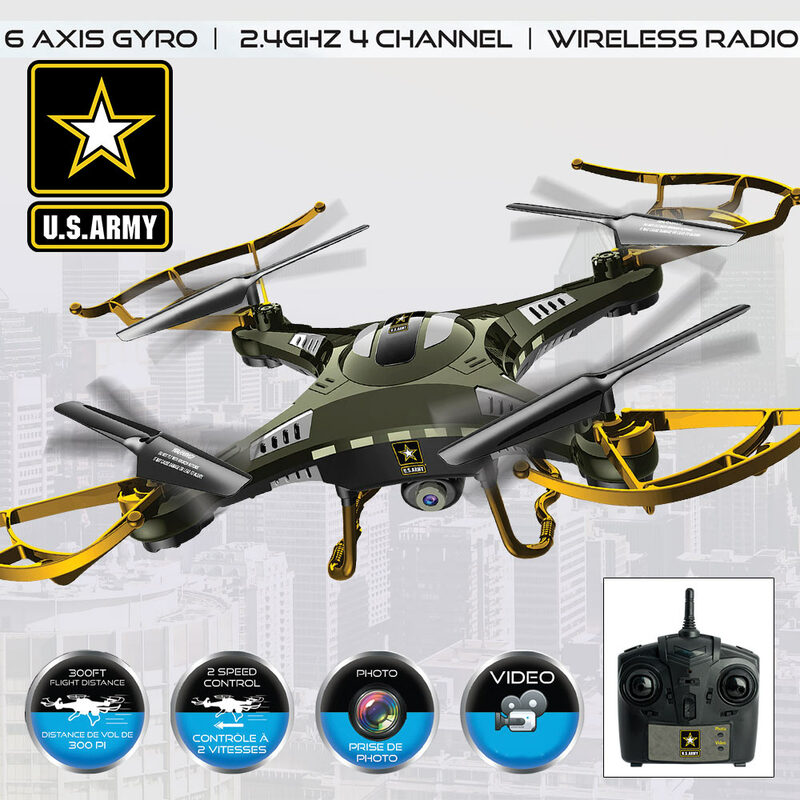 Scout ahead of your troop’s movement, from the sky above, and record what is up ahead with the US Army Scout Drone. 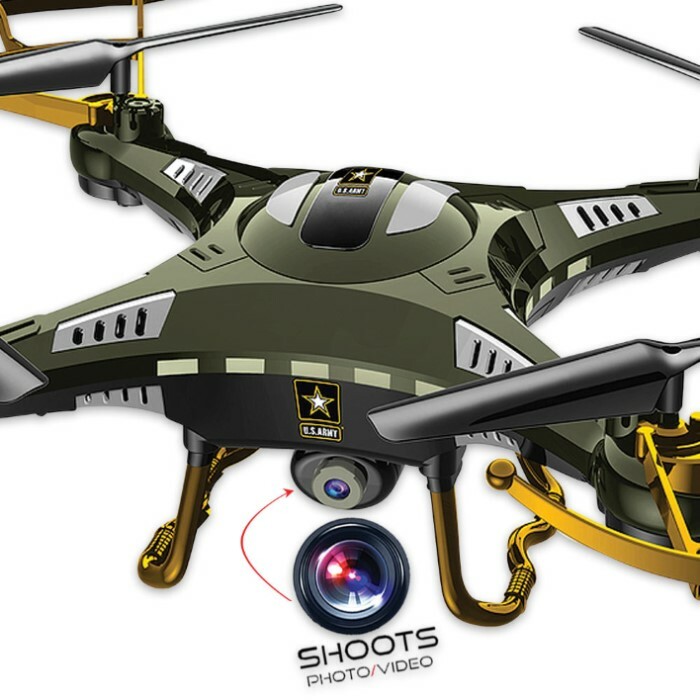 This amazing drone has a built-in camera that will capture images or video footage. The durable plastic body is decorated with U.S. Army insignia and is conveniently lightweight. This means that you can fly it up/down, forward/backward and pull off 360-degree flips and rolls with its self-leveling six axis gyroscope. A headless function ensures that the drone always goes where you want it to, adjusting its control responses in relation to where the remote is. It can be controlled for a distance of up to 300 feet. The rechargeable Li-PO Drone Battery gives you eight minutes of flight time. Includes protective blade guards and is 12”x12”x3”.